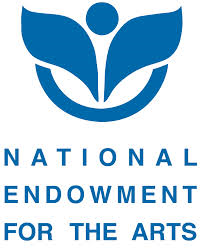 The National Endowment for the Arts (NEA) is a government agency, established by Congress in 1965. It's purpose is to support the arts and culture for the improvement of communities and their residents. Grants are offered to organizations owned by women and others for projects in the areas of art education, music and dance, literature, theater and more. Grants are awarded to organizations that provide innovative programs in the arts that strengthen communities and make arts part of their lives. Each grant category has its own criteria for project eligibility and range of grant amounts. Grants may range anywhere from $10,000 up to $200,000. Examples include Creative Writing Fellowships of $25,000 for writing, research, travel, and general career advancement, Literature Translation Projects that provide grants from $12,500 to $25,000 to translate literature work from other languages into English, and Challenge America Fast-Track grants of $10,000 for projects that provide arts to underserved populations. All programs must be of the highest quality and provide clear benefits to communities. The NEA has awarded more than $4 billion to support various forms of artistic excellence, creativity, and innovation that benefit individuals and communities.